China said it has completed the major work of the world’s longest sea bridge on schedule, after its lighting system was installed and tested. 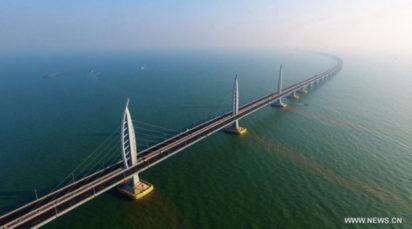 China’s world’s longest sea bridge linking Hong Kong and Macau It took six years preparation, and eight years to build the 55-kilometre-long bridge linking Hong Kong, Zhuhai and Macao. A gifted people in math, science, and engineering. They will surpass the US before very long.